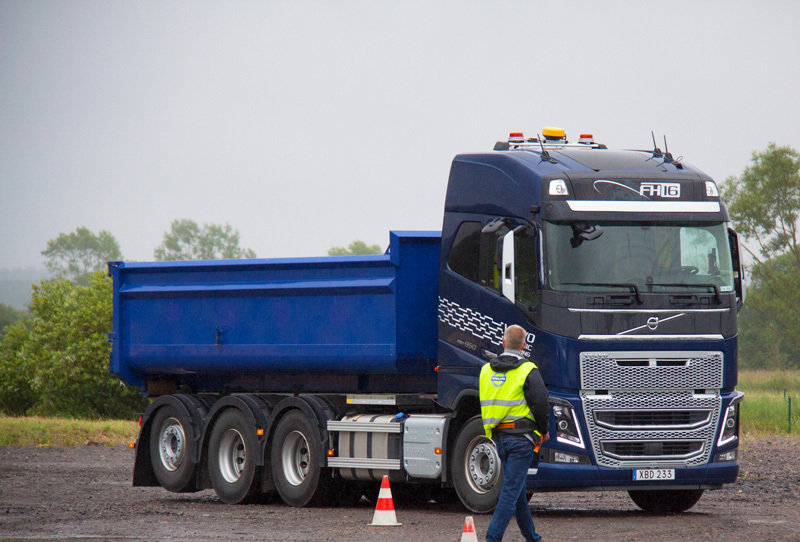 Owner//Driver was at the global launch of the new Volvo Dynamic Steering (VDS) driver support system in Stora Holms, Sweden, where the manufacturer put us in an autonomous platoon to prove it works. Cobey Bartels reports, with both hands off the wheel! Volvo introduced the VDS system in 2013, a first for the truck world, and is still the only manufacturer to offer the assisted steering technology. The 2018 revamp takes the VDS system well into the future, going from what was formerly electronically assisted hydraulic steering aimed at reducing driver strain and improving manoeuvrability and on road tracking, to a semi-autonomous driver-aid package. 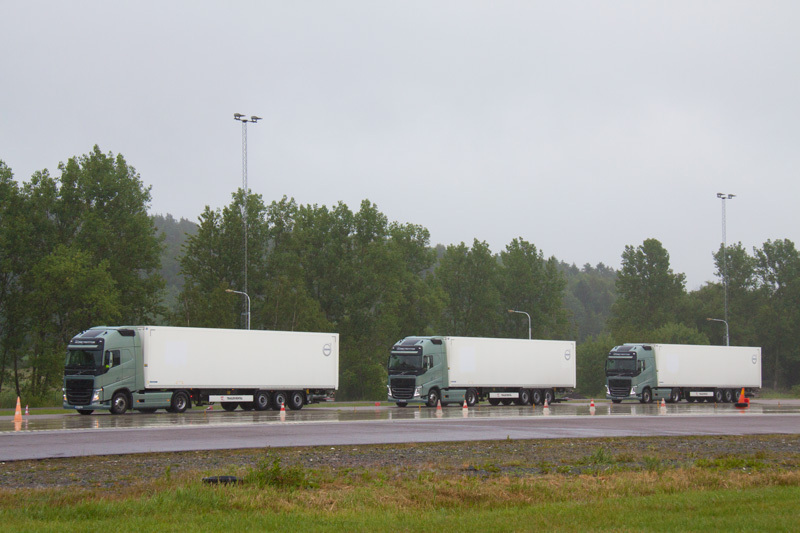 Each of the new features built into the VDS system were demonstrated for media on the day, eventually leading up to the climax of the launch where we were put in an autonomous platooning truck that seamlessly accelerated and steered its way around the test track. The VDS system still uses an electronic motor that sits on top of the steering gear, providing inputs and adjustments to the hydraulic unit. 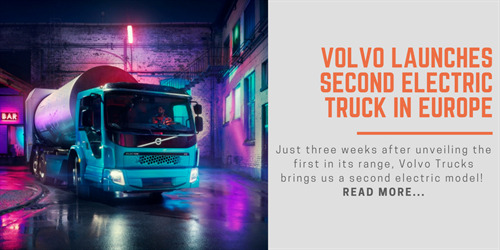 What has changed, however, is the level of input from the system and the ability for VDS to actually control the steering as part of two new safety systems; Volvo Dynamic Steering with Stability Assist and Volvo Dynamic Steering with Lane Keeping Assist. 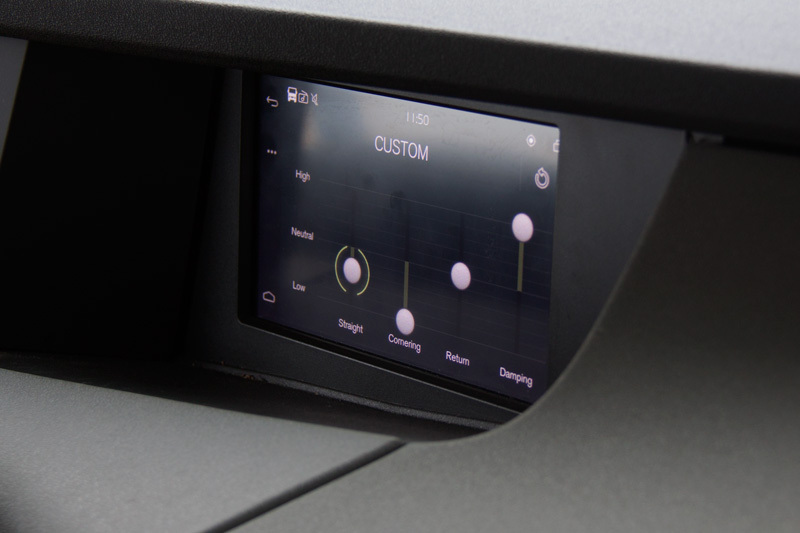 Much like lane-keeping technology in passenger cars, the VDS Lane Keeping Assist feature provides gentle steering inputs when the system detects lane departure. We say gentle, because the Lane Keeping steering inputs are far less abrupt than those experienced in passenger cars, in order to prevent weight shift or disturbances to loaded trailers. The Lane Keeping kicks in at speeds over 55km/h and uses cameras to monitor vehicle position, much like existing lane departure warning systems. Volvo has done away with irritating beeps and opted instead for haptic vibrational feedback through the wheel, in conjunction with the VDS Lane Keeping. "A lot of drivers including myself turn the noise off because it’s annoying," Volvo Trucks Product Range Requirement Manager FM/FX Ulf Andreasson says. "So, we took away the sound and now use haptic feedback instead along with steering correction. "We think with that change, all the drivers will keep the system turned on now." By now you’ve probably gathered this system is no longer just about offering steering assistance but is also fully capable of autonomously steering the truck, in situations that may otherwise result in an accident. The VDS with Stability Assist is essentially an electronic stability control (ESP) system, but it provides steering inputs to prevent traction loss. Sensors monitor the truck’s yaw and when traction loss or skidding is detected, the VDS system will counter steer to correct the vehicle and the existing ESP system will step in and brake individual wheels if necessary . "This system will actually react before you as the driver will notice skidding, because this system is so sensitive" Andreasson says. While we weren’t able to experience this in a truck on-road or on the track, the below video highlights the technology and after experiencing this VDS system across the day, we’d be confident putting this feature to the test. 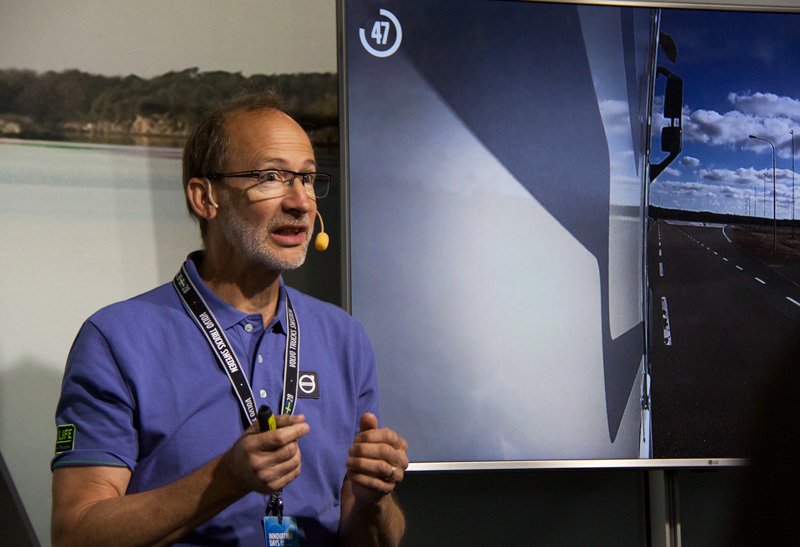 "Imagine you’re driving on a wet, slippery road and you suddenly notice that the rear of the truck is starting to lose its grip on the asphalt," Volvo Trucks Traffic and Product Safety Director Carl Johan Almqvist proposes. "Before this develops into a skid, you steer gently in the opposite direction until the danger is over. "That’s exactly the way Volvo Dynamic Steering with Stability Assist works. The big difference is that the system can discover the risk and help stabilise the vehicle before you’ve even noticed that something is about to happen,"
Volvo Trucks insists the new VDS aids are there to assist the driver and the autonomous functionality isn’t being introduced to take drivers out of the truck. 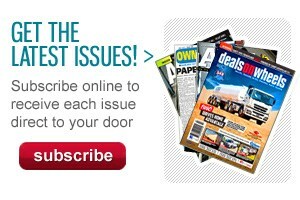 "We put the driver even more in charge of the truck than they are today," Andreasson assures us. "As a result, we will have a happier driver and a safer driver." In keeping with the driver focus Volvo has built what they’re calling Personal Settings into the updated VDS system, allowing drivers to adjust wheel resistance and return-to-centre speed to suit their driver styles. This was demonstrated for us around the track, with firmer and lighter settings and the speed at which the wheel returns to centre also shown. A gentler driver for example may choose a lighter resistance and slower return, while a more tenacious driver or perhaps one used to heavier steering setups may opt for a bit more resistance. 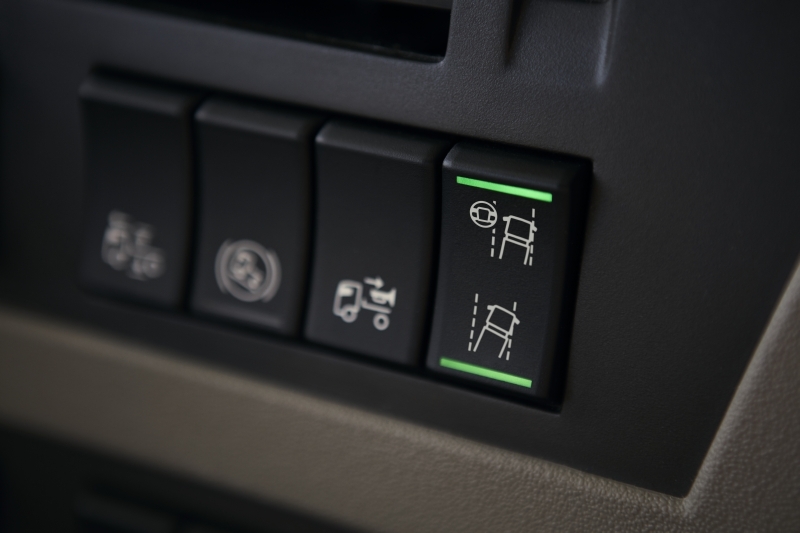 A fleet truck with multiple drivers can be personalised, with drivers choosing their VDS settings and saving them for whenever they’re in that vehicle. Steering isn’t something we are typically used to adjusting for our individual driving preferences, and this feature is one that ultimately contributes to making the cab a more pleasant place to be. "Each driver has a different perception of how light or heavy the steering system should be," Almqvist explains. "Now every driver can adjust the steering wheel resistance exactly as he or she wants for comfortable, relaxed and safe driving. 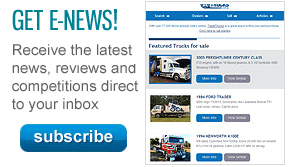 "This is a very practical feature, not least for trucks that often have different drivers." One of the other interesting VDS settings is the ability to adjust the ‘straight-ahead’ angle of the steering, preventing the need for counter steering on long slanted roads or during heavy cross winds. The straight-ahead angle feature was demonstrated on the day and it worked well, but the Lane Keeping did kick in to correct the steering once the road angle changed which was assuring. The most impressive demonstration of the day was the three truck platoon we rode along in, demonstrating the technology really does work. We took to the test truck, jumping on-board the third truck in the platoon with Sydney-based Volvo Trucks Driver Development Manager Per Bruun Hansen. The first truck sets the pace while the second and then third truck are paired by drivers, setting a distance of between one and five seconds between vehicles. As the third truck paired while the driver was still in control from the hot seat, in this case Hansen, the truck began to take over and drive itself in perfect harmony with the two lead trucks. This is the first time to our knowledge that media have ridden along in an active platoon, particularly one with autonomous steering and it was eerie to say the least. As we were entering a tight bend in the platoon, Hansen demonstrated that manual steering inputs are possible and the system will still let a driver steer if they choose to do so. Hansen explained as he sat back and let the truck do the work, "when us Australians talk about platooning it sort of goes over our head, because we do platooning already," referring to road trains and other multi-trailer combinations. This technology does however make sense in Europe, where a quad road train simply isn’t practical meaning the next best solution may be platooning. 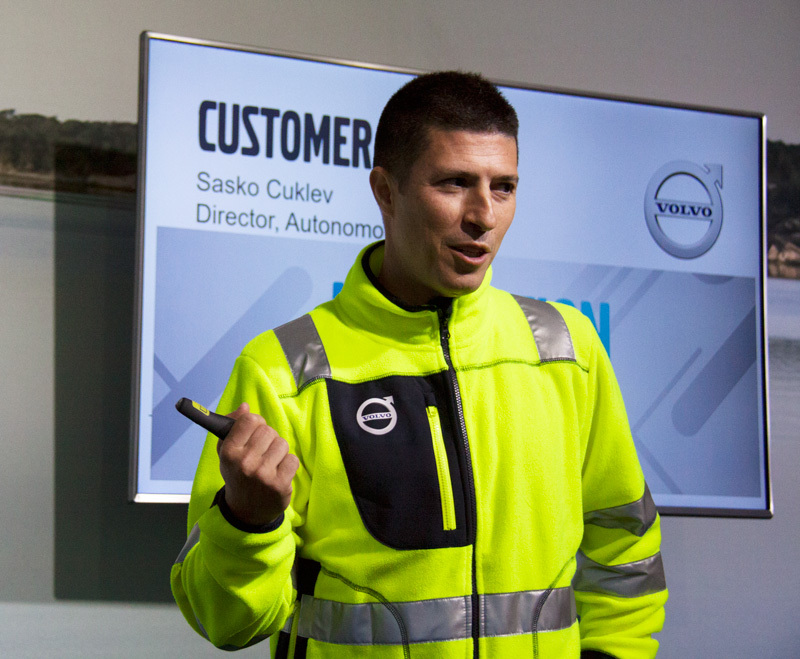 When discussing platooning, Volvo Trucks Director of Autonomous Solutions Sasko Cuklev explains that a big benefit is removing driver reaction time from the equation. "The first truck accelerates and the other ones will do it as well, and if you hit the brakes in the first, the other ones will hit the brakes at the same time in the same gear," Cuklev says. "You will not have to take into consideration reaction time, meaning that you can drive closer to each other in a safe manner and that reduces drag." 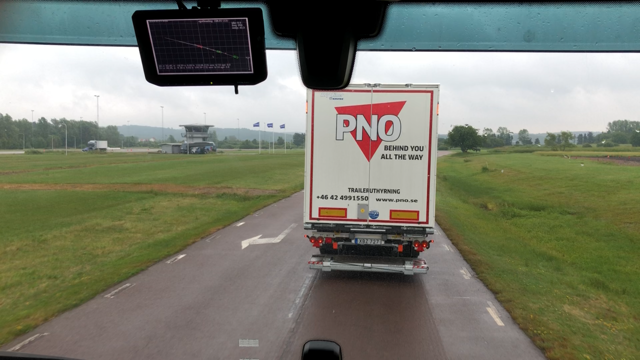 For the duration of our time in the truck the platooning system worked flawlessly as the footage below shows, highlighting the versatility of Volvo Trucks’ updated VDS system. The ability for the VDS system to steer a truck has allowed for external steering that doesn’t require complex aftermarket systems and dedicated remote use vehicles. Operators are able to use the VDS system to equip the truck with a remote use system allowing control of the engine, steering, brakes and lights at speeds of 10km/h or less. This is aimed at roadwork, mining, or any use requiring drivers to remotely control a truck, but with this system the vehicle can also be used in normal operation. "Typically today you’d have to use a hydraulic system and put a big motor inside the cab," Andreasson explains. "We can utilise our Volvo dynamic steering so if you don’t want to you just take away the remote control and it’s a normal truck again." As the video below shows we were given a ride along in a remote steered truck around a set course, but unlike other remote setups this was made possible without the need for complex in-cab systems, using the VDS.